Challenge: How can the autonomous car enhance social experiences in the year 2025? Outcome: A designed intelligent interface and experience which utilizes sensors and passenger information to create a responsive, social in-car experience. 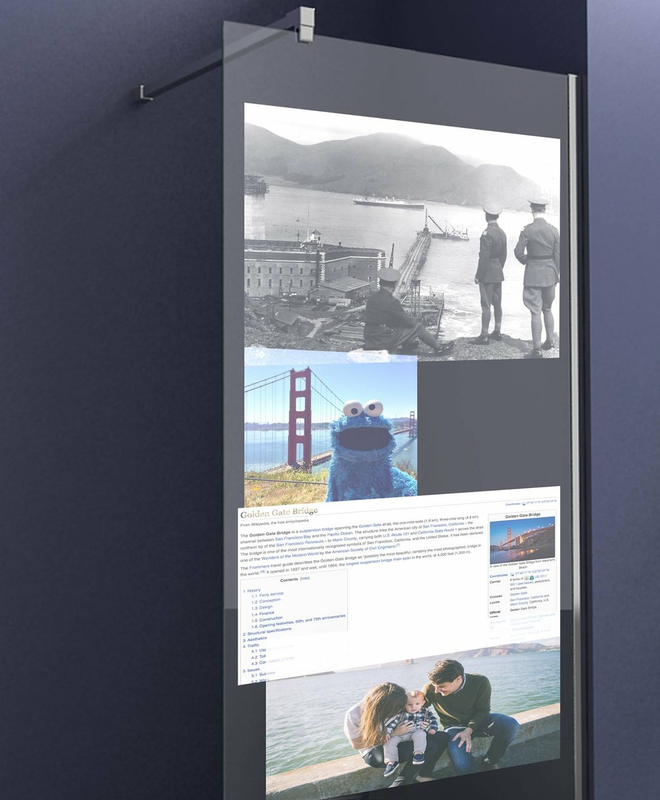 I engaged in the design research, created the AI Design concept, which emerged from my previous design research focusing on manipulatable portable personal AI devices and their relationship to larger connected systems (city, health, entertainment). The autonomous car (Cartaker) can enhance the family experience during long distance travel. We propose that intelligent experience design for autonomous cars will offer multiple experience settings. In our project, the Car Artificial Intelligence (CAI), is utilizing the CarTaker setting, to accommodate two young children on a long-distance road trip. The CarTaker setting encourages interaction between family members though the main console (which offers, games, trivia and family memories), and also encourages interaction with the outside space through the AR interface within the car. We engaged in one-on-one interviews with individual family members, where we focused on what it means to be social during long-road trips, and what it means to have some alone time. We created a fictional narrative that explored what it would be like if an autonomous car engaged with the family in specific care taking acts (Cartaker). We used this narrative to create a timeline for a family traveling from Los Angeles to San Francisco. We engaged in sensory research with individual family members, prompting them to play with scent, sound and visual display information. We mapped this research to our timeline. We used google forms to engage in something we call, data comfort research, in which we asked individuals what information they would feel comfortable contributing to an intelligent experience. We engaged in immersive research when we built our car prototype and had a family interact in the car for two hours. 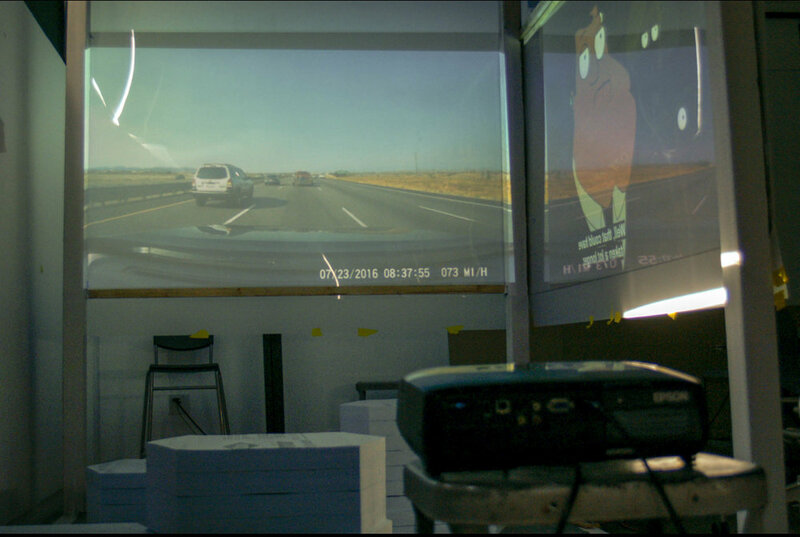 We provided a meal, entertainment, family games and visual/sound experiences in the car prototype. Based off of our research, we have identified further opportunities in this design space. To create social sensory experiences in the mobility space. To reimagine current approaches to privacy by designing for data comfort settings and transparency of data utilization. To create more intelligent experiences paired to car templates. 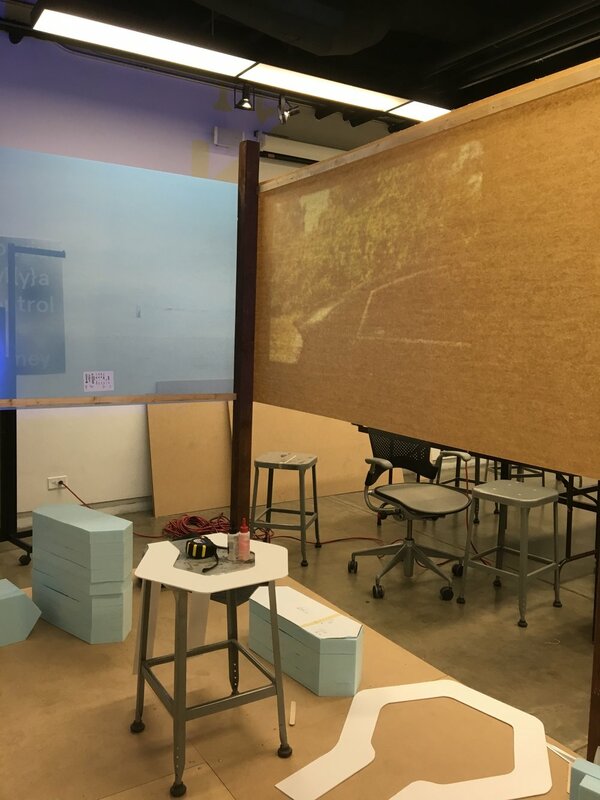 We engaged in physical and digital making, pulling from insights from our AI Design approaches, product research and cultural considerations. Based on the findings from our one-on-one interviews, data comfort research, and immersive research we proposed an intelligent interface, that utilizes multiple settings for different driving experiences. 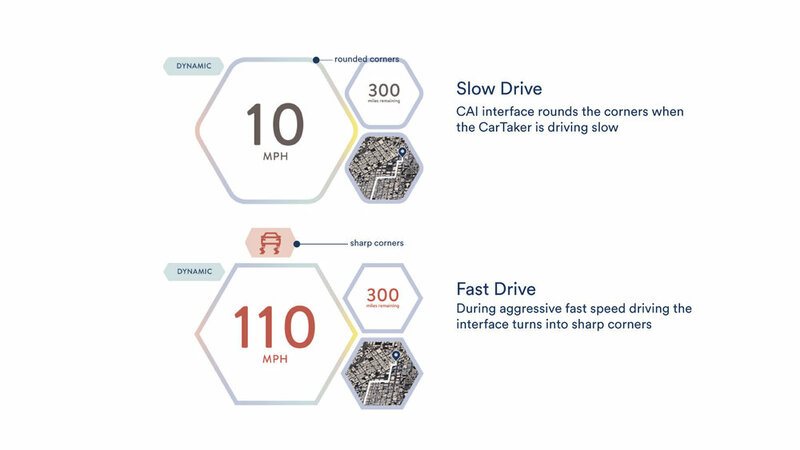 We produced one iteration of a driving experience setting called CarTaker. CAI (car artificial intelligence) is an artificial intelligence embedded in the interior of the autonomous car. CAI has multiple settings for short and long distance travel as well as multiple intelligent experience types. One of the algorithmic experience settings utilized by CAI is the CarTaker setting which is designed for families and older adults. In the CarTaker setting, CAI utilizes physiological and emotion report data to read individual profiles from a wearable or mobile phone. CAI moves beyond millennial and able bodied focused design for the autonomous car experiences and engages in design for families, older adults and all bodies. Code: Beyond Verbal API, Affectiva, and a previously created individual AI profile app. Material: We prototyped with our phones, an internal plastic console, screens, and foam core. The physical design informed the code (as evidenced in the temperature changing windows, or sound cancellation chair). Experience: The user experience is controlled by the user setting their permissions, and levels of their permissions. Form: The car interior and exterior are communicated with via a central console (CAI). CAI is access through a personal device (in this example, the phone). Based on the findings from our one-on-one interviews, sensory research, data comfort research, and immersive research we designed for social and private experiences during a long-distance trip. The Systems Diagram explains how CAI functions while in the CarTaker setting. The interaction map explains the interface positioning for the family dinner algorithmic experience. Utilizing the CarTaker setting, CAI unlocks the seats (image below) to allow for more social family experiences. The Responsive Interface is unique to CAI, and the color and design may change based on the preferences of the individuals in the car. Based on our research findings we proposed modifications to our design which would push back against cultural norms, offer more playful in-car experiences, and allow for increased and contextual privacy. Present vs. Future Design: One of the main challenges for me as a designer was to willingly create a system which reinforces a specific cultural norm or perspective, as seen in the female voice and utilization of emotions analysis. This project is an example of designing for now rather than for the future we want. We decided to utilize gendered voice design approaches to create a space to ease into the autonomous car experience. Voice Design/Gestural Interfaces: Vocals should be incorporated as a part of a CUI because they provide a more natural interface than typing on a keypad. This can help address the lack of connectedness felt when using CUIs. The CarTaker setting on CAI uses a female voice, as research indicates that users are more comfortable with a female voice. However in designing for future experiences, we should push back against the gendering and humanization of these voices. Our next steps would be to have a slider, which would allow users to change the pitch of the voice. Emotions Analysis: Intonation (through emotive analytics), gesture, and touch, may provide a feeling of connectedness. The CarTaker setting utilized by CAI incorporates emotions analysis to make the car responsive for individuals who might need more help in the transportation space. The user must opt-in on their personal device to allow for the collection of emotion data. Access: Larger questions around who has access to specific experiences and what they must give up in order to get that access (data) should be considered.